A great American patriot died a few days ago, Admiral Ace Lyons, once the commander of the US Pacific Fleet was a military man who took his oath to defend the Constitution ‘against all enemies, foreign and domestic” as a lifetime commitment. The last time I saw Admiral Lyons was at the South Carolina Tea Party Convention in Myrtle Beach in February. Though in his nineties Admiral Lyons drove himself there all the way from Virginia. 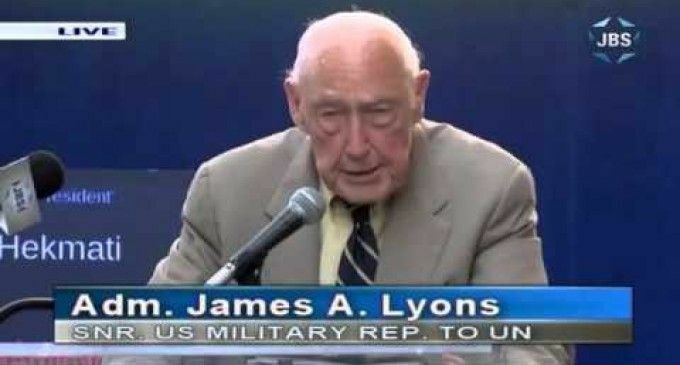 If all US military leaders had Ace Lyons’ guts and commitment we’d be sitting pretty right now.